Currently the program funds more than 500 enterprises including the famous ones, namely Dropbox, Airbnb, Aeroku, Parse, MongoHQ, Mixpanel, Scribd, Reddit, Social Cam and so on. Let’s talk with him on how he entered such supporting project by this popular accelerator in USA. thumbsup – First of all, please introduce yourself and how come to be in the States? Prachaya – Sawaddee Krub, my name Badd or Prachaya Phaisanwiphatpong. I spent most of my life in Thailand until graduated from Engineering Faculty of Kasetsart University. 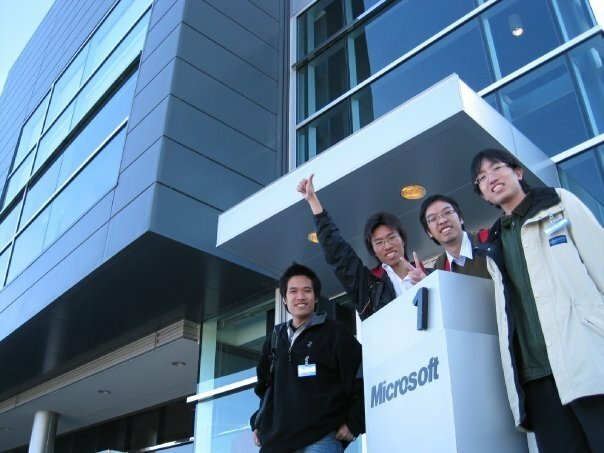 Prior to graduation, my team-mates and I won the World Championship in Software Design in the Microsoft Imagine Cup 2007 in South Korea. At that time, Microsoft in Thailand granted us an award to visit Microsoft’s headquarters in USA. Coincidentally we brought along our resumes and had a chance for job interview. We eventually got a job in Microsoft. It was a great opportunity for us. 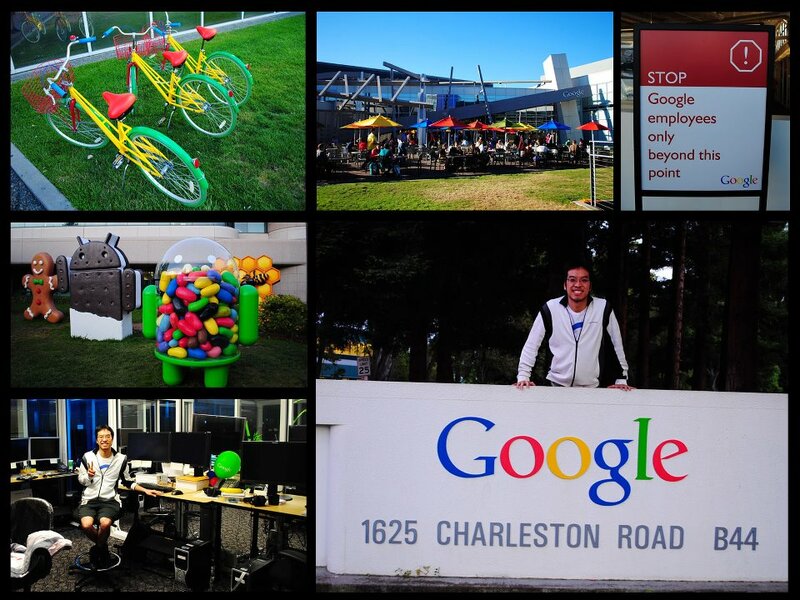 Wishing to see broader world, I moved to work in Google’s headquarters in Silicon Valley. The feature I developed in Google was Media Ads, video format for search ads. The reason I am proud of this feature is that it is very entertaining ad. Users love watching it, and therefore it generates revenues for Google. (link sample TODO). I just left Google less than one year to establish my own business. Comparing to Thai startup community, my startup is relatively young. Any of your advices would be appreciated. thumbsup – What makes you leave such big and secure company to do your own startup? 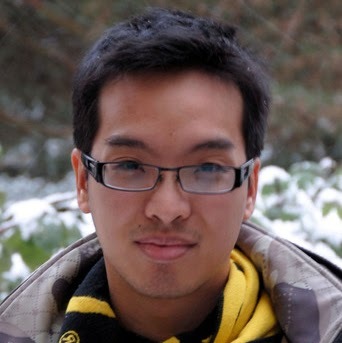 Prachaya – Since middle school, I always have been looking forward to utilize my knowledge and skill to build my own software enterprise. I think that owning a successful enterprise is powerful and can contribute a lot to society, with freedom and full control. Working in Google had given me a comfortable and well-being life. However making a successful startup requires significant time and dedication. There are things to experience outside the company. Google was like a school for me – We leant there when we are new to US industry but, eventually, had to face the world outside and pursued what we aimed for. thumbsup – ReadyGraph is related to what service? What is business model and strength? 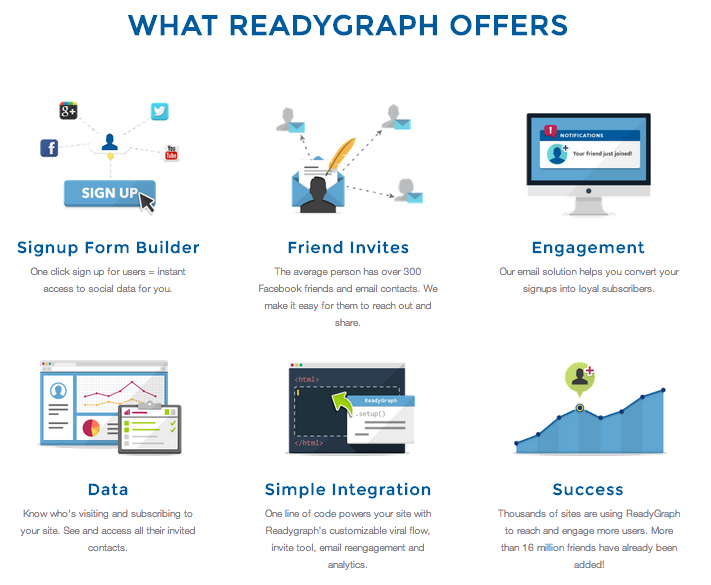 Prachaya – ReadyGraph is out-of-the-box user acquisition and engagement through social. If you remember the first time signing up Facebook or Instagram, it asked you to import contact book to find friends who are already on the app. It also has an invite mechanism where friends invite more friends and send notification between friends for engagement. ReadyGraph makes the whole package ready-to-use for any sites. Strength is its super simple installation. Simply copy and paste the script to any website will give complete features immediately, such as sending welcome emails, importing address book, displaying friends finder, invitation and etc. It also allows customization, so site owner can make the feature fit to their website. At the present, we open ReadyGraph for free but with ReadyGraph credit text. After initial launch during New Year eve, now we have thousands of sites using it with some customers signed contracts for special customization. There are several possibilities for business model: pay to remove credit, pay for extra features, pay per usage, pay to amplify traffics, and etc. thumbsup – How do you give moral support to each other? Prachaya – Currently there are 3 persons in our core team. Additionally there are part-timers and trainees. Our development team worked together in software competitions before. We are familiar with startup process. So, no special moral support is required here. Our main motivation is more about having freedom in creation and enjoy in building something that solves real user’s problems. thumbsup – Even though plentiful channels and opportunities available in your area, there are also more competitions. What is your biggest challenge from that? Prachaya – Most of the early startups here do not die because of their competitors. They tend to die because of unable to expand their customer base. While having a burn rate, they could run out of cash first. So the key challenge for every startup here is to find their consistent growth. Normally customer base does not grow itself. The product needs to have sufficient reason for someone to adopt it for long term. Newly introduced product could fail that easily. So, every startup here tends to test their products regularly and adapt rapidly whenever the products do not reach such goal. thumbsup – Given that you already entered Y-Combinator program, we believe many Thai friends are very interested to learn this in details. What criteria being set for consideration to be qualified for entrance? thumbsup – How did you apply and get in? Prachaya – I met my American co-founder through one of my Thai friends. At that time I created a Facebook app that hit million users and want to sell it. We had a meeting for business deal and worked together after that. 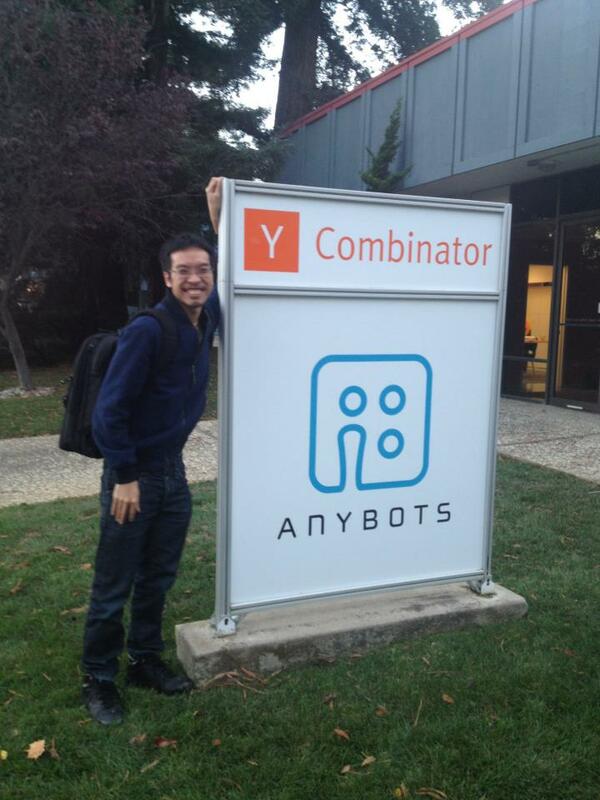 The year I applied to Y-Combinator, they accepted the teams without a startup idea to interview too. My co-Founder, our Turkish friend and I submitted application together. Since we did not have a startup idea upfront, the application was mostly talking about ourselves. However, one week before an in-person interview, we got an email asking us to build something cool within a week to show them during an interview. During that period, the game Draw Something was very popular. It was a social game where you draw something on your smartphone and send to your friends to guess. OMGPOP, the game creator and also one of the Y-Combinator funded company, was acquired by Zynga for 180 million USD. So we got an impromptu idea to build something similar to Draw Something but using video recording instead. Within one week, we had the game ready in both on smartphone and web version. The remaining steps of interview went on smoothly and led us into Y-Combinator program successfully. thumbsup – Actually is there any chance for the Startup from Thailand to apply in Y-Combinator project? Whether necessary being Startup already existed there before, or not? Prachaya – It is not necessary to be originally from USA. There are a good number of international founders in Y-Combinator. The nations I remember are such as UK, Canada, Taiwan, and India. They used criteria as same as US founders. Educational background and working experience are ok but not mandatory. So, I think Startup from Thailand has the same opportunity to enter, however they must pass the qualifications they are looking for. You may hear the news about 9GAG before. They are based in Hong Kong but be able to get in YC and raise a big fund here. So US nationality is not really necessary. thumbsup – How much can Y-Combinator assist us? Prachaya – In my year, when receive funding from Y-Combinator, there will be two more angel investors ready to invest on the same company right away. They also diminish our endeavor by organizing Demo Days where they invite all investors to be there. So, startups have a chance to present and make acquaintance with them. Regarding the products, Y-Combinator is an advisor whom we can discuss on both business and technical problem. Regarding the social aspect, Y-Combinator connects founders together. They also have experts sharing stories during YC dinner and strong alumni network that help each other. thumbsup – In your point of view, how necessary in fund raising for Startup? Prachaya – In the legal aspect, in our homeland it might not be necessary to have big funding because there is no legal obligation. Says we can sit and work in your homeland to build your startup legally. But if you are from outside USA and wish to work here, your company may need some capital sufficient enough to sponsor your visa. It requires wages that are quite higher than average wage in US. Let’s say if we don’t have legal problem, funding itself is useful. You can spend it to acquire resources, such as bigger team, better tools, broad marketing etc. However, it does not guarantee the success for startup. Having plentiful money to spend does not always mean a better product that users love. So I think it is nice to have funding, but if you don’t, it’s not the end of a startup path. Comparing between the poor startup with products have fall-in-love users growing every day and the Startup with plentiful capital but without users, I do believe the former should go better because the marvelous product can be brought to lure capital, but the capital volume itself does not guarantee the prospective output being excellent. If the product cannot pace forward, the enterprise will only have expenditure and fail at the end of the game. thumbsup – Regarding the point of view by Thai people abroad like you especially located in the zone being quoted as the world’s most ready with Startup Ecosystem, what is your view on the current highly active startup ecosystem in Thailand? Prachaya – When comparing with Startup Ecosystem in Southeast Asia few years ago, I am very glad that now Thailand has been alerted a lot. I think it is good timing for the new high-tech business as the market is neither so vacant nor too saturated yet. 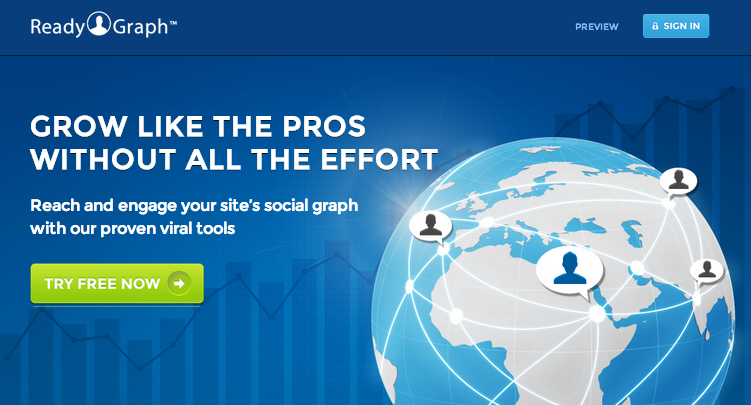 thumbsup – How do you plan for the future of ReadyGraph and what do you look at its Exit Strategy? Prachaya – It is not certain right now. At this moment we focus on building something that people would . thumbsup – Think to return home and continue doing business in Thailand, or not? Prachaya – Certainly. Eventually I also want to contribute to my homeland. thumbsup – Finally what would you like to convey to Thai Startup at this moment? Prachaya – Doing the Tech Startup has a high risk, but I think it give a huge return if success. Many Thais wish to have someone like Bill Gates, Larry or Mark emerged in Thailand. I myself hope my knowledge would be one day useful and can help pushing Thai innovation further. If our elder or current generation fails to reach, at least our efforts can be guidance for our younger ones. I myself wish to see the prosperity of high-tech industry led by Thai developers and certainly many people here probably want to see the same thing. We who have similar interest should sincerely adhere together, mutually support and cooperate. Not only generating more power but also achieving more fun as well.